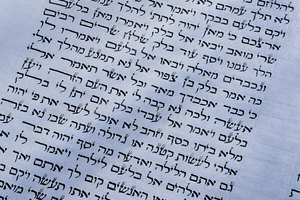 What Is the Book of Worship in Judaism? 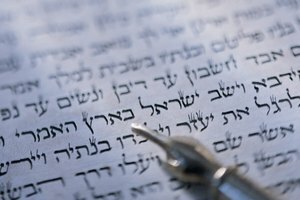 How Do Jews Use the Torah Today? 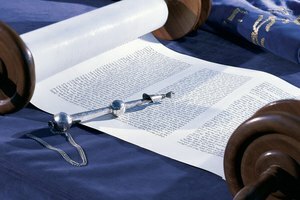 A Torah portion is read during Shabbat services and on major Jewish holidays. The Jewish synagogue, much like a Christian church or Muslim mosque, is a place of worship. In the sanctuary, there is a stage (bema) and podium on which the Torah scrolls are opened. A portion is read during Monday and Tuesday morning services, on Shabbat and during some holidays. Directly behind the podium is the Ark, where the Torahs are kept. While it is not required, since Jews can pray anywhere, it is traditional to pray in the synagogue when a minyon, the gathering of ten Jewish adults (men only in Orthodox synagogues) is required. There are three communal prayer services required every day: in the evening (Ma'ariv), in the morning (Shacharit) and in the afternoon (Minchah), except on Shabbat and holidays when an additional service (Musaf) is added. Morning prayer lasts for about an hour, while the afternoon and evening prayers, which are completed together, are about an hour and a half in length. Shabbat services generally begin early on Saturday morning and end at noon. Holiday services last longer because they add additional prayers. Orthodox Jews follow the liturgy literally attending all required communal services, usually in synagogues within a few blocks of their homes. The synagogues of Conservative Jews generally offer morning services to the congregation and always have Shabbat services. The Reform movement may have morning services and holds communal Shabbat services. One major difference between the Orthodox communal services and those of the other movements is the separation of men and women. The former requires men and women to sit in different sections of the synagogue, while the latter allows intermingling. 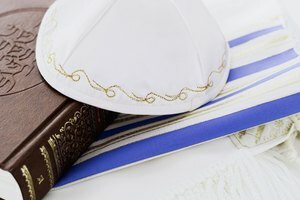 Depending on whether a Jewish person is Orthodox, Conservative or Reform, the manner of dress for synagogue services ranges from suits for men and skirts or dresses for women (Orthodox) to slacks and sport shirts for both genders (Conservative and Reform). Men in Orthodox synagogues wear a hat or yarmulke while married women wear a shytl (wig) or scarf. Orthodox men also wear their tallits (prayer shawl with fringes) at all services. 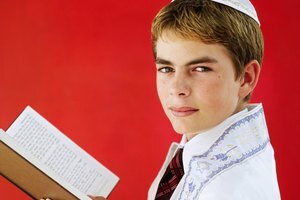 Conservative men wear yarmulkes but some do not put on a tallit except for the services for the Jewish High Holy days, Rosh Hashanah and Yom Kippur. Reform men are not required to wear either a yarmulke or tallit for services. Neither Conservative nor Reform women cover their heads. The Sh'ma is the first prayer said at all services. It declares the fundamental Jewish belief that God is one. Another major prayer said every day is Shemoneh Esrei, which means "18," corresponding to the original eighteen blessings in the prayer. It is also known as the Amidah (standing), because it is said silently by the entire congregation while standing. On Monday and Tuesday mornings, during the Shabbat service and on holidays, a section of the Torah is read. On Shabbat, a corresponding part of the Haftorah (Prophesies) is also read. There are additional prayers intermingled with these, including the Kaddish which praises God and a special mourners' Kaddish for those who have lost a loved one. The final prayer is Aleinu, which also praises God. The Torah is kept in a wooden Ark at the back of the bema (stage). Before the reading, the Ark is opened and removed by the rabbi and cantor (or whoever has been accorded the honor, called an Aliyah). It is covered with a mantle that usually has the ten commandments inscribed on it. It is then carried around the synagogue. As it passes, it is traditional for congregants to touch it with the tallit or prayer book (siddur) and then bring the object used to touch it to the mouth. 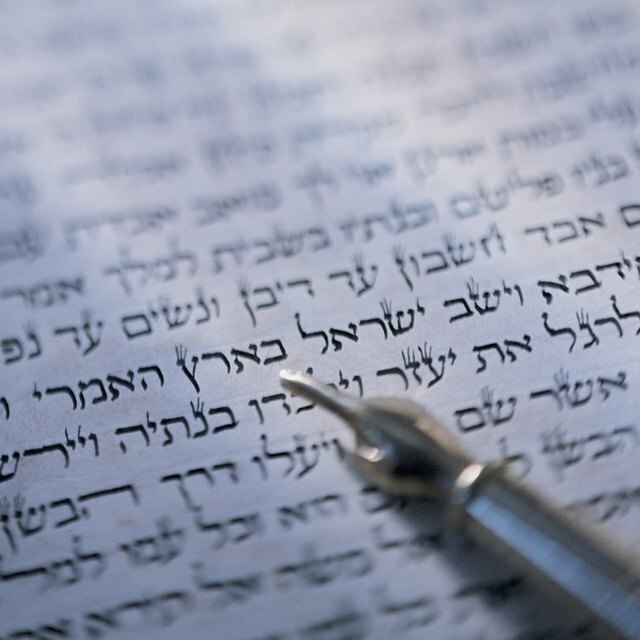 This acknowledges the gift of the Torah to the Jewish people and its significance as God's word. Rosen, Michele. "How Do Jews Worship in Synagogues?" Synonym, https://classroom.synonym.com/how-do-jews-worship-in-synagogues-12086842.html. 29 September 2017.